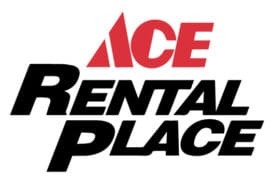 E&H Ace Hardware is Ohio’s trusted partner for Outdoor Power Equipment. We carry full products lines from top brands including Stihl, Echo, Toro, Honda, Craftsman, and more. Our sales teams have the knowledge you can depend on and the experience you can trust for whatever job you’re looking to tackle next. From sawing that pesky tree branch you can’t quite reach to cutting your grass to removing that unwanted debris that finds its way on to your lawn, you’ll find the proper equipment at E&H Ace Hardware. Improve the quality of your life and make more time for the things you love by getting the gear that will get the job done right the first time. Not sure what you need? No problem. Stop by one of our stores to see our expanded show rooms and we can walk you through every step of the way to ensure you get what you need.